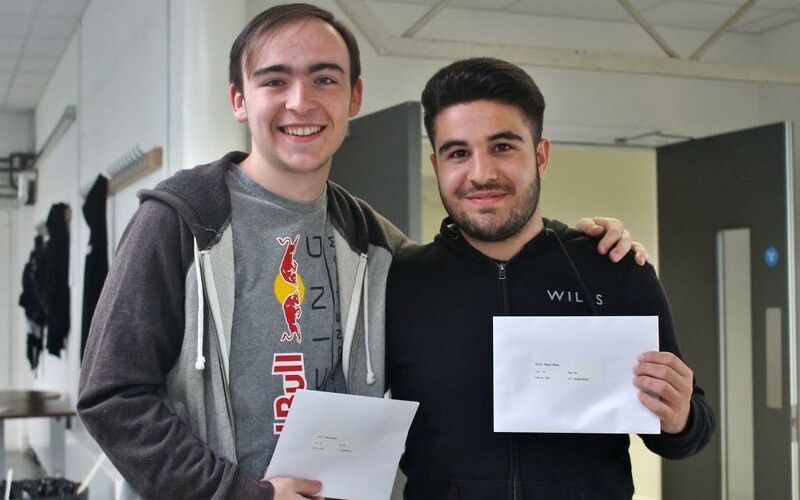 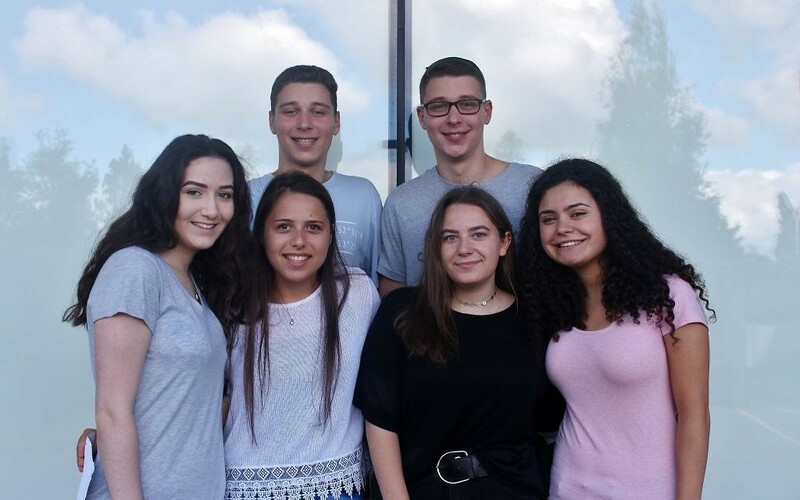 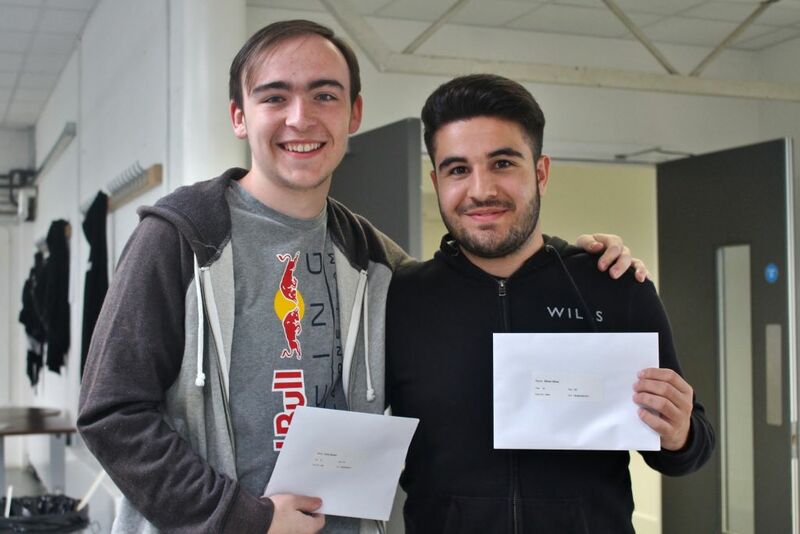 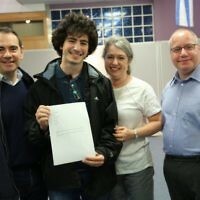 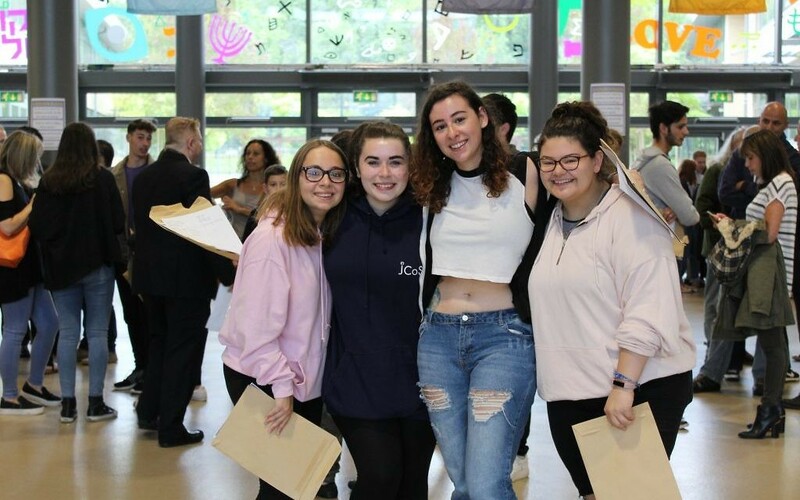 Jewish students celebrate another year of A-Level success! 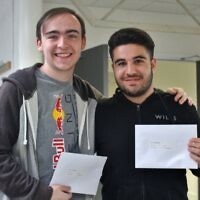 It was top marks to students this week, with hundreds gaining the results they need to secure places at prestigious universities. 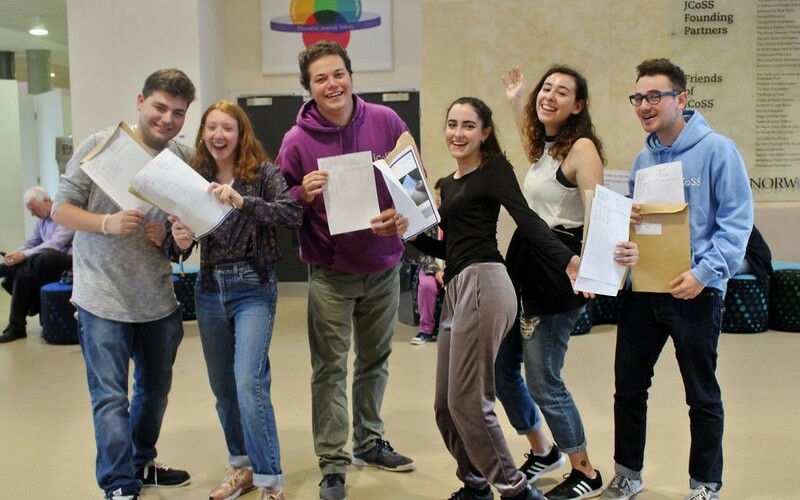 Jewish students celebrated another impressive year of A-Level results at Jewish schools this week. 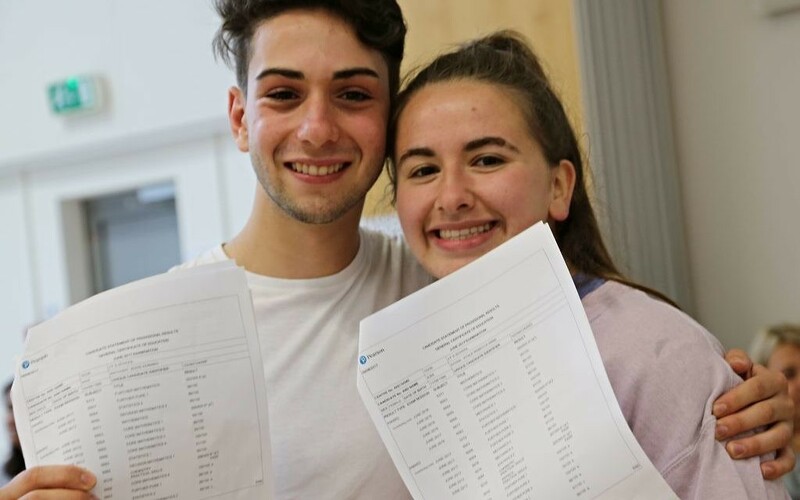 Among the landmark moments for the community was a first full set of A-Level results for “the pioneering student cohort” at JCoSS, who joined in 2010 when the school first opened. 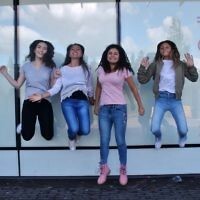 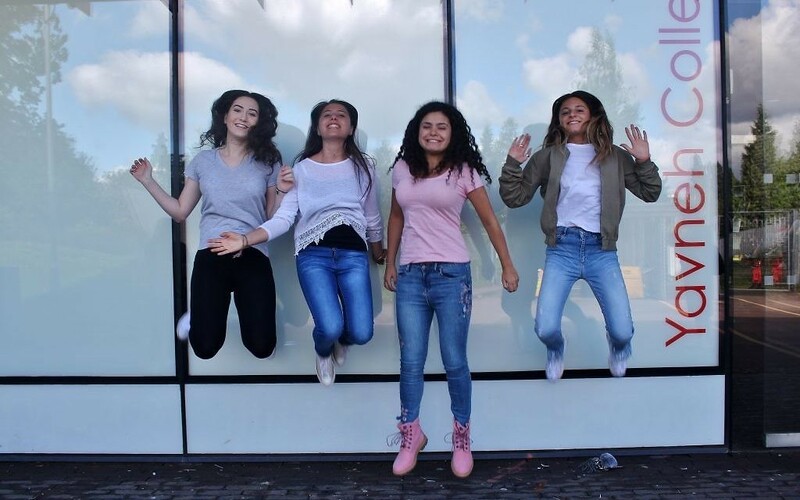 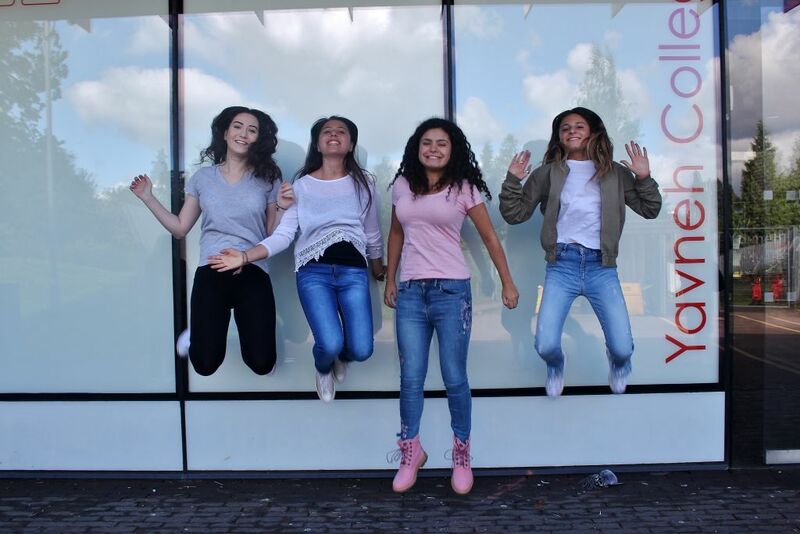 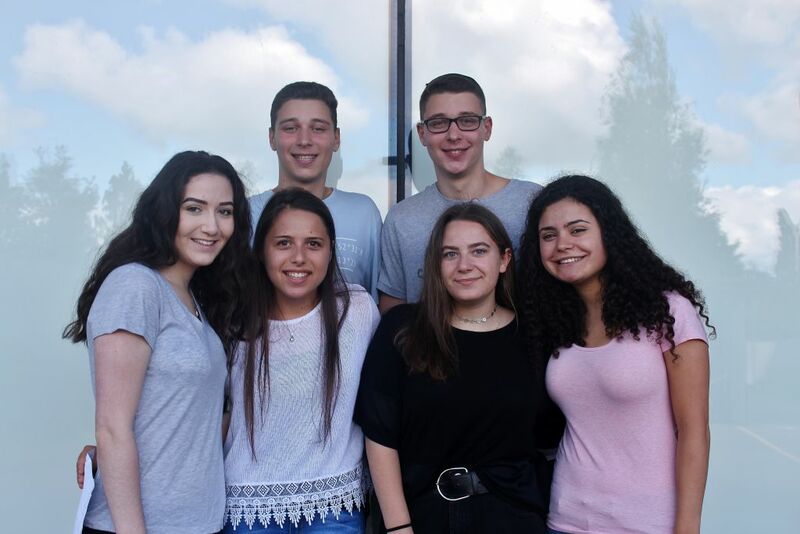 Yavneh College again topped the Jewish charts and improved on last year, with more than half its A-Level students getting A* or A grades, while an “incredible” 88 percent of students got grade B or above. One student, Natalie Miller, made it look easy with a hat-trick of A*s.
While JFS clocked up 82 percent of grades at B or above – its highest tally in recent years – the Kenton campus actually pipped Yavneh in the percentage of A* or A grades achieved, raking in 55 percent, compared to the Borehamwood college’s 52 percent. 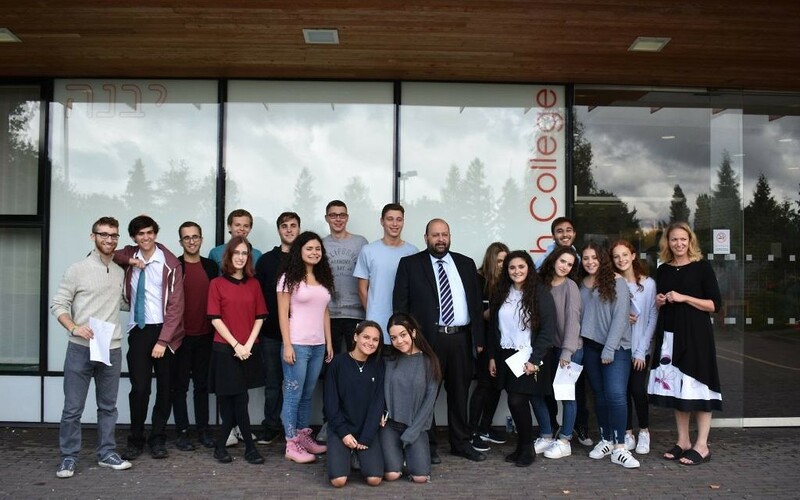 School leaders heralded the 2017 results as vindication following the most recent Ofsted inspection, which rated the JFS sixth-form as ‘outstanding’ – a far cry from the dramatic downgrade the school received three years ago. 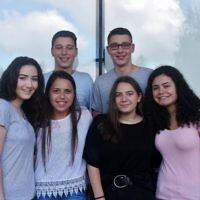 A total of 13 JFS students will now take up their places at Oxford or Cambridge, slightly less than last year, while four will be going to medical school. 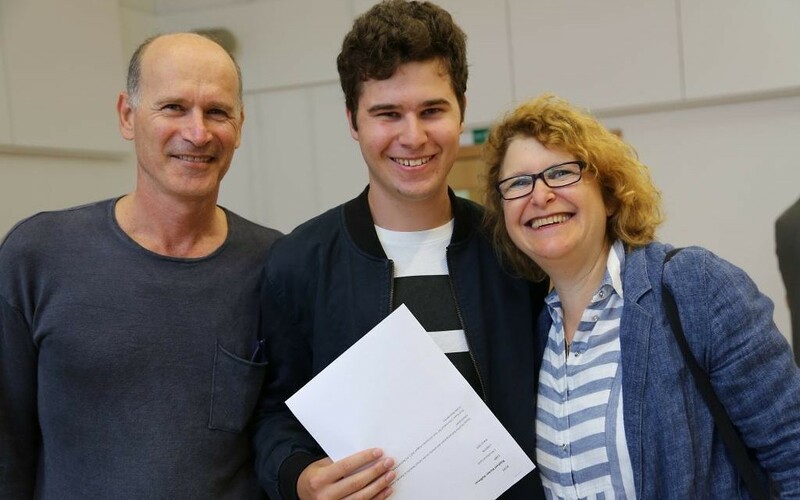 Among the elite list, a trio of bright sparks – Daniel Bernbaum, Oli Solomons and Vitale Stone – caught the eye with their four A* grades. 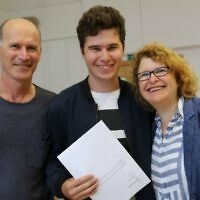 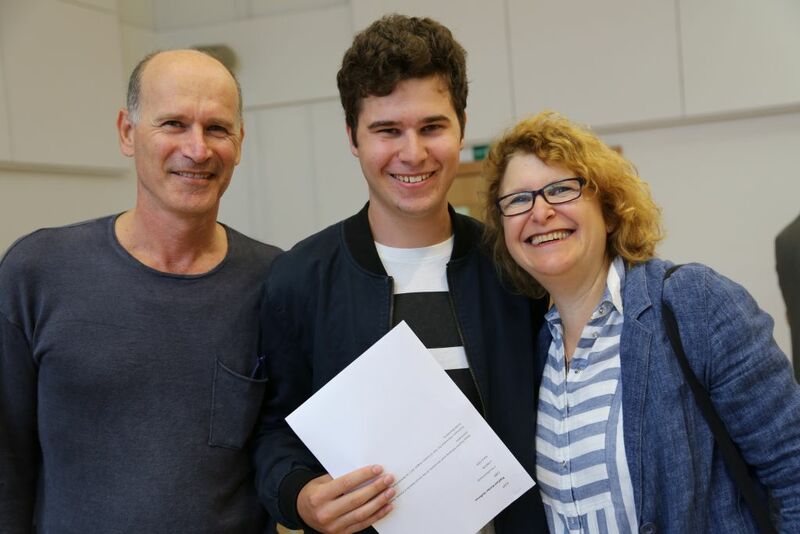 Not far behind the top two was Hasmonean, where 72 percent of results were A* to B, and where student Joshua Daniel looks set to become one of the nation’s top scientists, after a stunning string of five A* grades. At JCoSS, where more than a third of results were A* or A, Nathan Caplan, Jess Shaw, Nikita Ostrovsky, Kezia Niman and Jonah Zur got three A* grades. 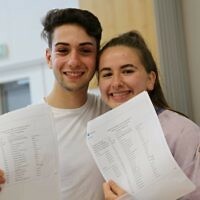 Both Nathan and Jess are now off to Cambridge, to study Natural Sciences and Theology respectively. 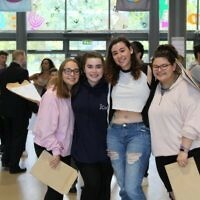 Headteacher Patrick Moriarty said it was “an historic and highly momentous day, the biggest milestone of the school’s history,” adding that he was “thrilled” with the first full set of A Level results. 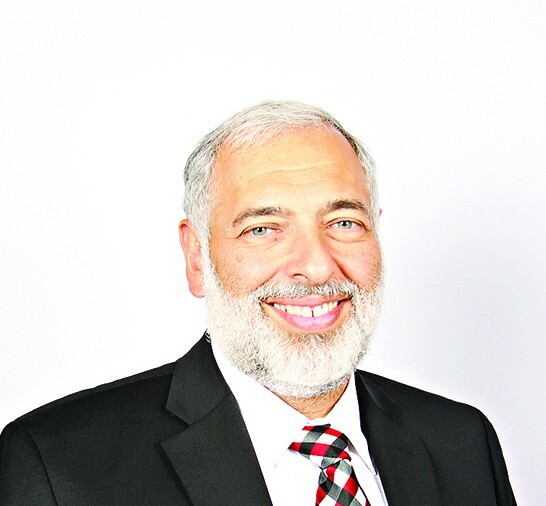 “It signifies the faith that every supporter, student and family put into JCoSS to give the children in our community an excellent education in a pluralist environment,” he said. 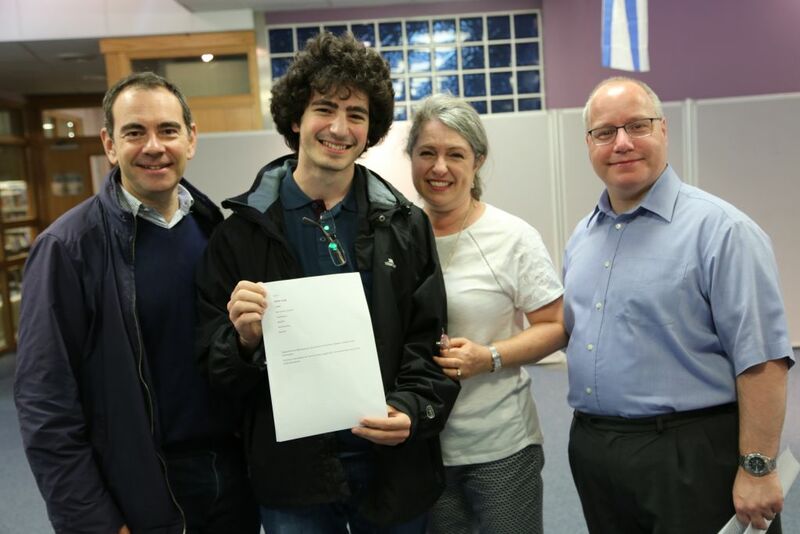 “Today’s results justify all that trust and faith.” As a bonus, the original 2010 cohort had now become “fully-rounded mensches,” he added. 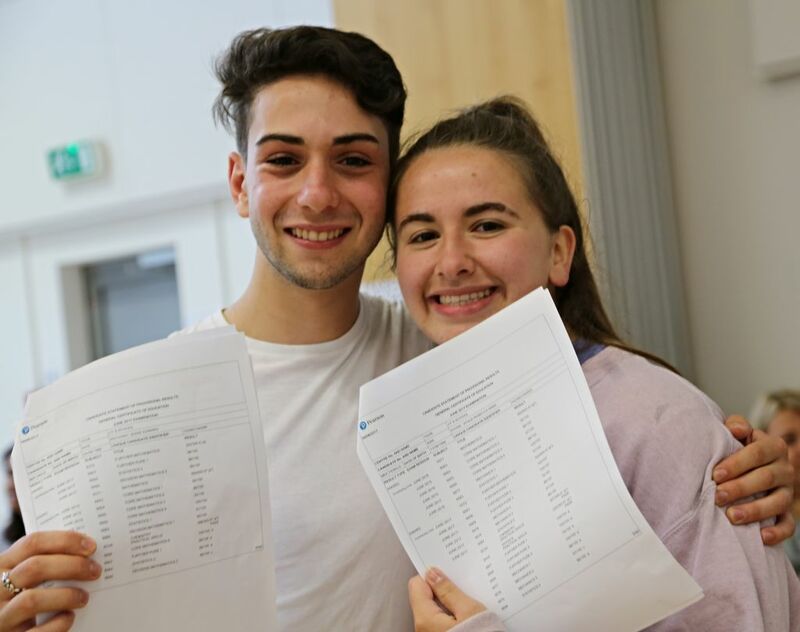 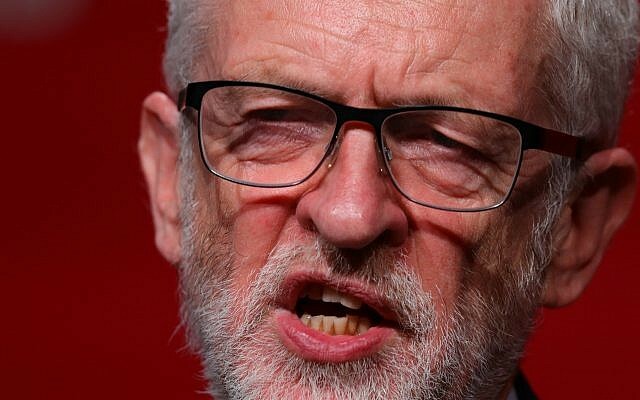 Kantor King Solomon High School in Barkingdale came in just under the national average, with 73 percent of grades between A* and C, compared to 78 percent across England. 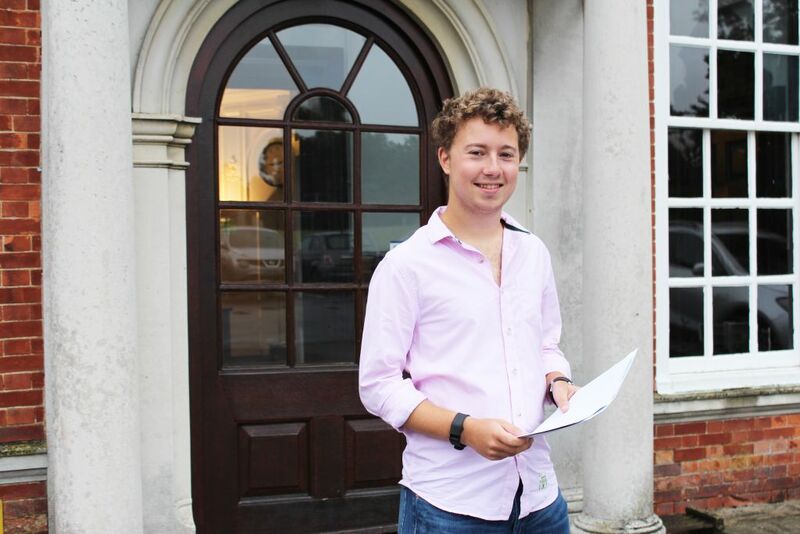 However, the school’s students in Maths and Physics excelled, with four in ten registering an A* or A grade. 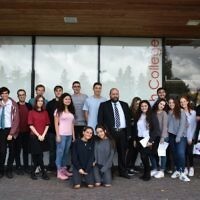 Jewish students at non-Jewish schools also did well. 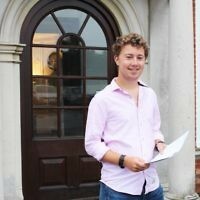 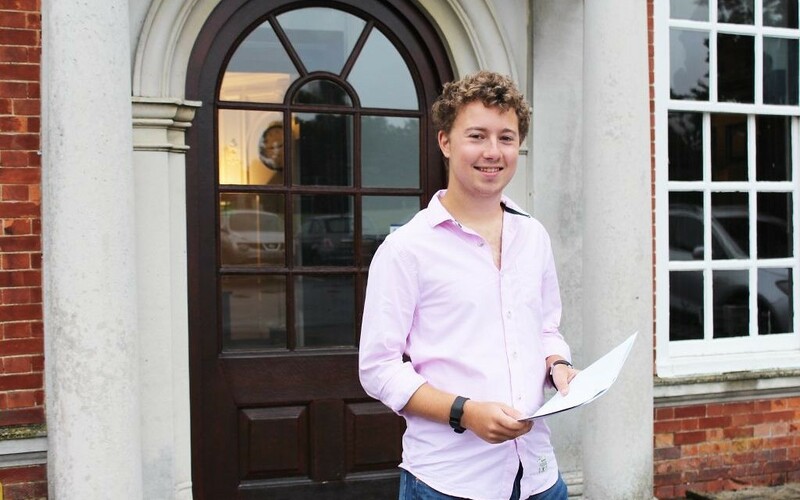 At Haberdasher’s Aske’s Boys’ School, Zak Wagman – who keeps himself busy as the school’s vice-captain, an active member of the Jewish Society, a Model UN organiser and speaker, and debater – received 3 A*s.